Lycka is distributed under the terms of the GNU GPL. You may customize the theme in every way you want. Lycka has included a collection of the most popular Google Webfonts. Change fonts for headings and text very easily with only a few clicks in the theme customizer. 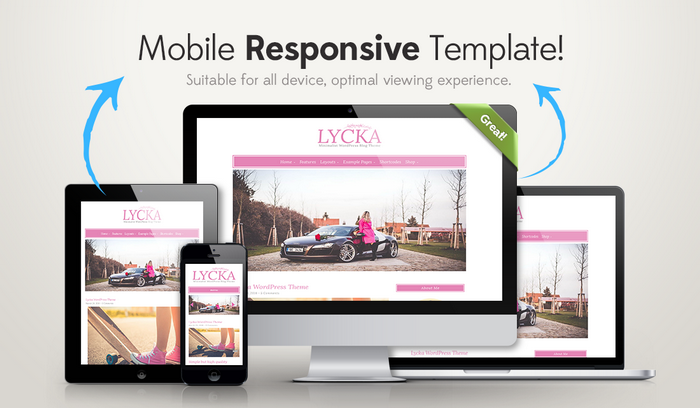 Lycka has been coded with care and by keeping performance best practices and WordPress coding standards in mind. A selection of Blog page layout, Archive page layout, and Single Blog Post Layout. This gives you the option to have layout selection. 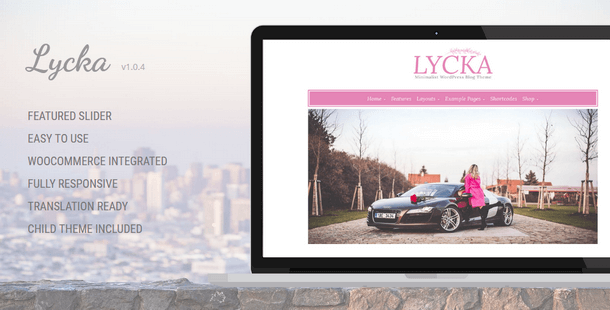 You may customize Lycka WordPress Theme as you like. Files to create a custom child theme are already included in the download package of this WordPress theme. Lycka has been coded with keeping SEO best practices in mind to create a solid fundament for good rankings. 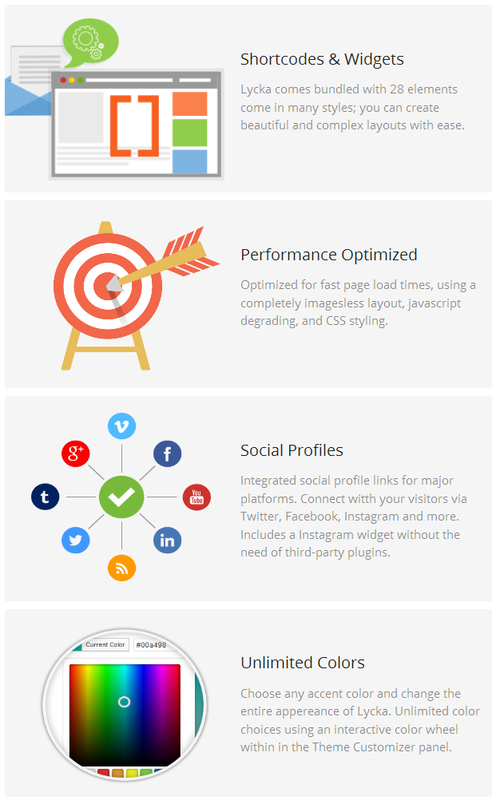 Built-in Author Box, Responsive Slider, Related Posts, Sidebar left or right, Custom Menus, Custom Header, Custom Widgets, Custom Templates, and many more.